"The Ultimate Guide To Great Reggae" is a love letter to reggae music. It tells the most complete history of reggae ever presented by providing detailed descriptions of more than 750 of its greatest songs by over 200 artists. Spanning reggae’s sixty-plus year history, it covers every style of reggae, including mento, R&B, ska, roots, nyabinghi, dub, DJ, dancehall, ragga and others. This includes the most complete consideration of the music of Bob Marley & The Wailers to be published, with each and every one of his recordings discussed. Other reggae stars, cult artists, one hit wonders and forgotten greats are all covered, many receiving their overdue first coverage in any book. More than a reference book, more than a buyer’s guide, "The Ultimate Guide To Great Reggae" is a treasury that's a joy to read. along with a shot of me. it «««« out of 5 stars. Feb. 28, 2017: The Ultimate Guide To Great Reggae has received a very favorable review in the February issue of UK’s monthly black music magazine, Echoes! Published for more than 50 years, many UK music fans already have their copy of Echoes. Others can read the review here. Dec. 30, 2016:/span> It was a pleasure to make contact with the great reggae drummer, Fil Callender, one of the many (previously) unsung greats discussed in TUGGR. I posted a book excerpt about Fil on his Facebook page, and his response to my page was most kind. The exchange can been seen here. Apr. 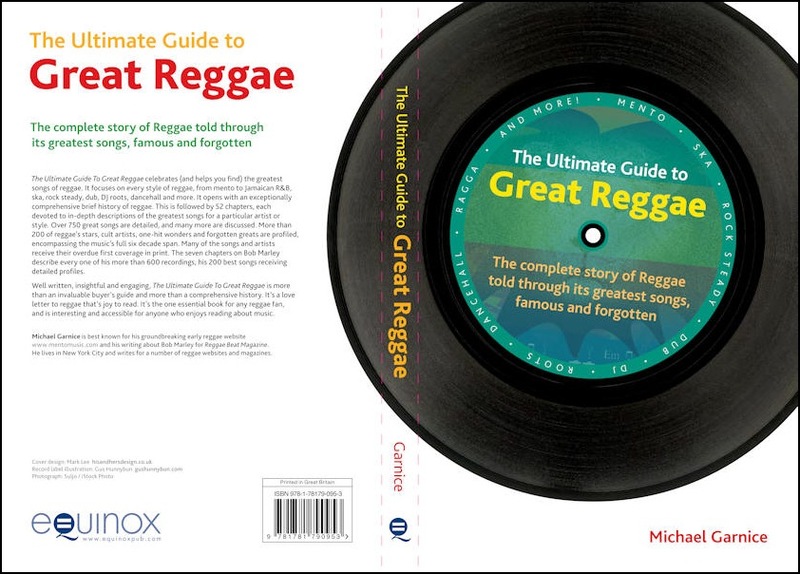 13, 2016: I am happy to announce that The Ultimate Guide To Great Reggae is now available, in-stock and shipping from the publisher, Amazon in the US and UK, and a growing number of other retailers. Apr. 13, 2016: The Ultimate Guide To Great Reggae is now listed on GoodReads.com. Nov. 20, 2014: With the cover finalized, I've added a cover gallery. Aug. 9, 2013: An agreement with Equinox to publish The Ultimate Guide To Great Reggae has been reached. Equinox is a leading publisher based in England, specializing in books and journals in the humanities, social sciences and performing arts. The Ultimate Guide To Great Reggae is written to be indispensable to anyone with an interest in reggae music and/or Bob Marley, and an engaging read for any music fan. It takes a song-based approach to flesh out the history of reggae music as never before. This approach also serves to make this book a unique buyers’ guide that is especially well suited to the iTunes/YouTube/streaming era of music delivery. Those interested in Caribbean culture and Jamaican history will enjoy this book as well. The Ultimate Guide To Great Reggae approaches the subject with a breadth and depth of content not found in any other book or on any web site. It covers the full spectrum of reggae. Six decades are spanned, as are a dozen sub-styles and numerous artists. In addition to a broad swim, The Ultimate Guide To Great Reggae is a deep dive. It tells the story of reggae by focusing in-depth on its greatest songs. Though many more are discussed, over 750 songs are described in detail. Nine chapters devoted to Bob Marley & The Wailers discuss each and every one of his songs. It goes into detail for the 200 best, describing and celebrating what makes each one great. The recent biographical Marley book are fine, but what makes Bob Marley popular is the body of music he produced. Bob Marley fans around the world will embrace a book that examines his entire catalog as never before, exploring what makes his music so enjoyable. As this body of work is examined, Bob Marley is put into perspective with his influences, his contemporaries, and those he influenced. Unique content on mento music is included. This early form of reggae is of great historical importance and tremendous interest to reggae fans, but is grossly overlooked by other books. Mento is currently enjoying new attention reminiscent of last decade’s Buena Vista Social Club phenomena, with tours and a film about to be released. And mento records routinely sell for hundreds of dollars on eBay. Yet there is little of substance in print on this topic. I bring unique expertise to my book as the author of www.mentomusic.com, the definitive web site devoted to this subject. It has had twenty million hits since its inception in 2003. Chapters on reggae artists that have very strong followings in Jamaica, the US, the UK, Europe, Japan and beyond, but are underrepresented in any other book. For example, such artists as Nora Dean, Black Uhuru, Steel Pulse, Prince Buster, Desmond Dekker, Toots & The Maytals, The Ethiopians, Jimmy Cliff, Dennis Brown, Junior Murvin, The Congos, Studio One, Gregory Isaacs, The Skatalites, The Abyssinians, Barrington Levy, Treasure Isle, Johnny Osbourne, Burning Spear, Big Youth, Black Ark, Peter Tosh and Bunny Wailer receive their own chapters. Lee Perry receives several. A richer, more engaging exploration of the subject than found elsewhere. The reggae encyclopedias, as well as popular web sites like AllMusic or Wikipedia are reference works that focus on brief descriptions of CDs rather than exploring songs in any detail. A labor of love, the reader will welcome the deeper song-based focus, rather than a list of facts. Few of the beloved songs my book describes have received their due in print form. Yet there are interesting stories to be told about these songs and artists. An approach that is uniquely suited for the digital music acquisition age, with its culture of discovering individual songs that merit purchase. Reference books that focus on CDs not only miss the true story of reggae (as singles, not albums, drove the music), but the opportunity to meet the needs of today’s music consumer. My mantra while writing this book was no cut corners. It’s well researched, carefully considered, very organized and smartly written to assure an informative and enjoyable reading experience. An introductory chapter that explains the intent of this book. 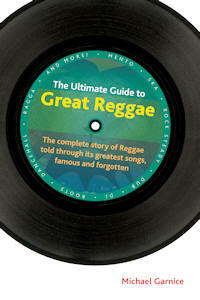 It includes three sections: “Why This Book”, “The Three Most Common Misconceptions About Reggae” and “The FAQ”. 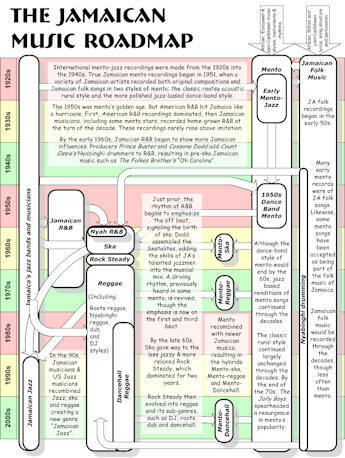 A complete concise history of Jamaican recorded music and why it resulted in so many great records. An examination of reggae that puts it into perspective with other popular music through comparisons with The Beatles, Rolling Stones, Bob Dylan, Talking Heads, Frank Zappa, Motown and other artists from rock, punk, folk, soul, jazz, calypso, blues, country, gospel, pop vocals, etc. Clarification of the frequently mystifying and often misunderstood lyrics of reggae songs. The accent, patios, Jamaica slang, Rastafarian symbolism, Bible references and Jamaican folk sayings that make frequent appearances in reggae lyrics are fully decoded as never before. Descriptions of what the music sounds like in addition to lyrical analysis. Because writers like words, music writers often concentrate too heavily on the lyrics at the expense of the harder task of describing the sound. I am careful to avoid this imbalance. Discussions of which version of a song is best. In reggae, it’s common for singers to re-record a hit song several times throughout their careers. Cutting through this potentially confusing situation is another way that this book serves as an unparalleled buyer’s guide. Hit songs and familiar tracks along with overlooked or forgotten songs. Songs that are commonly available and rare records that are difficult to find (along with guidance for obtaining them). Surprising song sources. Many reggae songs thought to be new are actually based on songs from around the world. Derrick Morgan was born 1940 in Clarendon Parish. In the 1950s, he won on the Vere Johns' Opportunity Knocks Talent Show with his imitation of Little Richard singing Long Tall Sally. An important Jamaican musical institution, Opportunity Knocks was broadcast on Jamaican radio and then eventually on TV. It provided a steppingstone that helped launch more than a few reggae singers, including Morgan's long and interesting career. After winning, he was snatched up by the island's top comedic act, Bim & Bam, to add his Little Richard imitation to their stage show. His recording career began at the very end of the 1950s with a string of R&B sides. The first was Lover Boy for producer Duke Reid. But, as was then the producer's prerogative, Reid decided against releasing it, keeping it instead as an exclusive for his sound system. This angered Morgan who quit Reid to work with other producers. But the dispute was temporary, as the song would eventually be released and Morgan would return to work further with Reid. Morgan recorded steadily from 1959 through to 1977, and sporadically in the 1980s, releasing well over three hundred singles and ten albums over this span. But it was the 1960s that was his decade, hit filled and storied. Massively popular, at one point in an unmatched feat, he simultaneously held the top seven spots on the Jamaican record chart. Meanwhile, he had a hand in launching the careers of some of the biggest singers in reggae. Working for producer Leslie Kong, he arranged Jimmy Cliff’s first records. As a talent scout, he not only brought Desmond Dekker to Kong, but also helped him develop his first record. The first ever live Wailers performance was part of a big show that was honoring Morgan’s pending move to England. He would give Bob Marley feedback on his stage work, advising him to dance less and concentrate on his singing. He was a participant in perhaps the most famous of reggae's many musical battles. Morgan’s onetime producer, Prince Buster felt betrayed that Morgan left him for Kong, and released a single accusing him of lacking racial loyalty, called Blackhead Chinaman. Morgan gave a seven inch response called Blazing Fire, that, adding insult to injury, repurposed the melody of Buster’s hit, Madness. Naturally, Buster fired back. In the end, the feud resulted in five records, big hits for both combatants and no hard feelings. Though a solo artist, Morgan also recorded a fair number of duets either with established male ska stars or the female supporting vocalists of the era. In addition to the aforementioned Reid, Kong and Buster, Morgan worked with Coxsone Dodd and others producers. He would also produce some of his own recordings and those of other artists. He even brought his brother-in-law into the production field; the prolific Bunny “Striker” Lee. In spite of failing eyesight, Derrick Morgan still performs occasionally today. Produced by Leslie Kong in 1967, Tougher Than Tough is a true example of grace under pressure. This classic and frequently imitated track was commissioned from Derrick Morgan under threat by a dangerous rude boy named Busby who wanted to be celebrated in song. And, as per Busby's requirements, the song had to be written, recorded and pressed for a dance that was just days away. The resulting Tougher Than Tough is a good reminder that Duke Reid did not own a monopoly on crystal clean rock steady. With Gladstone Anderson's bright piano out front over Bryan Atkinson's bouncing melodic bass, rhythm guitar chirps from Lyn Taitt and drums from Joe Isaacs, Morgan is provided a rock steady backing as fresh as any. He rides the breeze right into a courtroom. A drama unfolds that has Morgan playing the judge, in a speak-sung role. Desmond Dekker, with his half-brother George in tow to provide harmony, play defiant rude boys on trial. And in rude boy fashion, they steal the show, harmonizing plaintively and getting much more mic time than headliner Morgan. The judge calls the court to order and reads a list of serious charges: “You're brought here for gun shooting, ratchet using, and bomb t'rowing”. The rude boys begin their defense, singing: “Your honor, rudies don't fear. Rougher than rough, tougher than tough, strong like lion, we are iron”. Their closing argument consists of, “Rudies are free, yeah, boy, rudies are free”. No doubt won over by a well sung legal argument featuring the irresistible power of Jamaican harmony, the judge agrees, declaring, “Court adjourned”. Tougher Than Tough was great music and great fun. 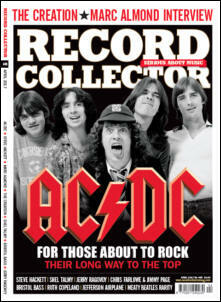 A big hit, it delighted rock steady fans. It also had a lasting impact resulting in reverberations of similar songs that spanned decades. Though not reggae's first courtroom drama (see Big Sid by golden-age mento band Chin's Calypso Sextet, previously described in the chapter on this group), it provided a particular template that others quickly followed. In particular, Prince Buster responded with a number of court records (Barrister Pardon, Judge Dread, Judge Dread Dance) where instead of being freed, the rudies received comically severe jail sentences. Morgan got the last word in this musical feud with his Judge Dread In Court, where the judge declares Buster a fraud and gives him jail time! Peter Tosh's Here Comes the Judge (a song described later in this book) finds historical figures of colonialism on trial. Even the 1970s UK ska revivalists The Specials got into the act, and quite nicely, as Stupid Marriage found the singer in divorce court. Peoples Court Parts 1 and 2 by dub poet Mutabaruka in 1991 and 1994 continued the form, now sporting a roots reggae sensibility. But there was no bigger fan of the song than Busby himself. Ironically, the lifestyle that spurred the song would severely truncate his enjoyment of it. Celebrating wildly upon hearing it played at the dance, he spilled wine on a rival gang's girlfriends. Morgan well remembers the next night at the dance, when a youth of about twelve, hands shaking, shot Busby in the head in retribution, as Morgan stood dangerously close by. Tougher Than Tough is readily available today on several Derrick Morgan CD collections. It was also featured on – and gave its name to – Island Records' biggest reggae compilation, the 1993 4-CD box set called Tougher Than Tough: The Story Of Jamaican Music.